â€œI do want little black girls to see it and see themselves and see names that they recognise and hairstyles and places that they recognise,â€ poet and writer Lebohang Masango aka Nova said about her childrenâ€™s book Mpumiâ€™s Magic Beads. 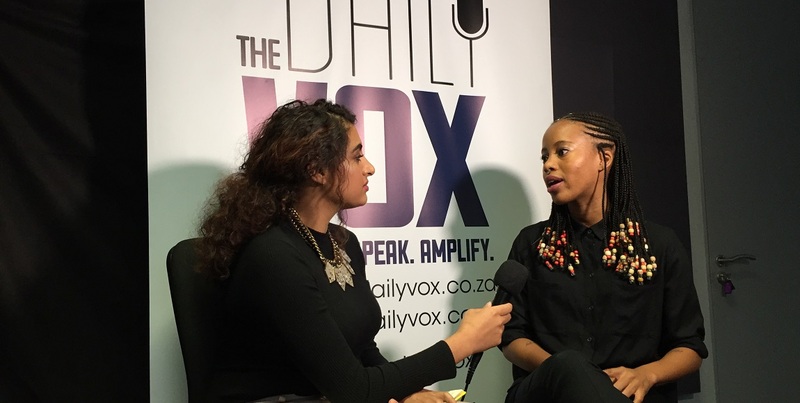 Mpumiâ€™s Magic Beads tells the story of three little girls in the city, Masango said in a Facebook live interview with The Daily Vox. â€œThe girls unfortunately go to one of the lower income schools in an office park. So one day they find themselves on the third floor of an office park and theyâ€™re super bored and they want to go out and have fun but they canâ€™t because they have to spend their day inside the confines of the building,â€ Masango said. â€œMpumi has magic beads in her hair and they start making wishes and they go all over Johannesburg to the planetarium – and learn a little bit about the solar system – they go to Johannesburg Zoo – looking at their favourite animals – and they end up at Gold Reef City. Johannesburg is a grimy, dangerous place but it can also be a great and fun place for children and I think thatâ€™s what I wanted to highlight. You hear so much about the goriness of the city and not enough about how fun it can be,â€ she added. Some of the inspiration for the book came from Masangoâ€™s honours report, titled Of Hair and Brown Girls: Beauty and Femininity in Pretoria. It explores race and femininity through hairstyling practices, self-imaging, whiteness, and regulations for African girls in a Tshwane primary school. Masango spoke about why the conversations about natural hair are so important. â€œThe conversation about natural hair is important because itâ€™s important to help children love themselves. If they want to grow up one day and relax their hair or whatever, thatâ€™s okay but let all of that choice in terms of hairstyling come from a place of choice instead of this burdening to conform to whiteness. I wish we could do more for children loving their hair in the way that it is. If we could just engrain a whole lot of love in children for them to marvel at their hair and the science of it and how amazing it is. And one day if they want to grow up and do whatever thatâ€™s okay, but let them have a base of love,â€ Masango said to The Daily Vox. Masango said she wishes schools could create codes of conduct constructed with language that is inclusive of diversity. â€œMany school rules are all about creating a uniformity among the children but what no oneâ€™s really interrogating is that uniformity is outlined by whiteness. â€˜Cleanâ€™ and â€˜tidyâ€™ are pretty neutral words but when you look at the connotations and the historical heaviness of cleanliness and tidiness and what that particularly means on particular bodies then you get to understand why certain children are being demonised for their hair,â€ she said. Besides the conversations around her book and natural hair, Masango also spoke of the meaning that the late Winnie Madikizela-Mandela brings to her life. She said that Mamâ€™ Winnie is an example of what it means to use your voice. â€œMamâ€™ Winnie is such an incredibly profound and amazing leader. What I loved about her is that she refused to be silenced. Without fear or favour she always spoke the truth,â€ she said. â€œBlack women should be using our voices. We should become the primary documenters or archivists of our lives – in every way big and small,â€ Masango said.